The TA125 was Yamaha’s over-the-counter production roadracer built between 1971 and 1975. Prior to the TA, racers who rode Yamahas bought stock YAS1 or AS2’s and converted them to track specification using GYT factory race kits that included a comprehensive package of go-fast bits. But the finished bikes were ultimately limited by frames and suspension geometry designed for road use, and performance was not on par with class leaders. The TA that followed wasn’t really a full racing bike like its bigger 250 and 350cc siblings, and was really a half-hearted effort: many parts were shared with the roadgoing AS3, making it a sort of “factory racing AS3” than a pure race bike, although this did make maintaining the TA125 a much less expensive proposition and the bikes were popular with privateers. This particular example is currently being offered for sale by the same family that has owned it from new. Like most bikes that have seen serious race track use, it’s not dead stock, having been upgraded during its racing career to remain competitive, although the upgrades are obviously period appropriate and designed to enhance racetrack performance. This motorcycle was one of two bought new by my father in 1977 from Twin-K Yamaha in Detroit Michigan. They were shipped to Venezuela where we lived. My brother raced it in the 1978 Venezuelan Grand Prix of the FIM World Championship qualifying 19th (first TA). I later rode it in AHRMA in the United States. 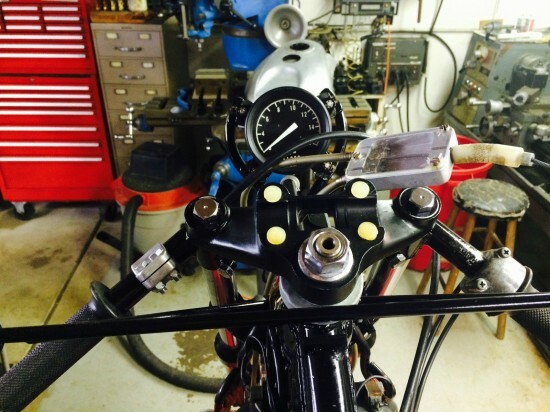 I rebuilt/restored the bike about 10 years ago, rebuilt crank (new rods and bearings), new cases, pistons, rings, seals and rolled it into my dining room. 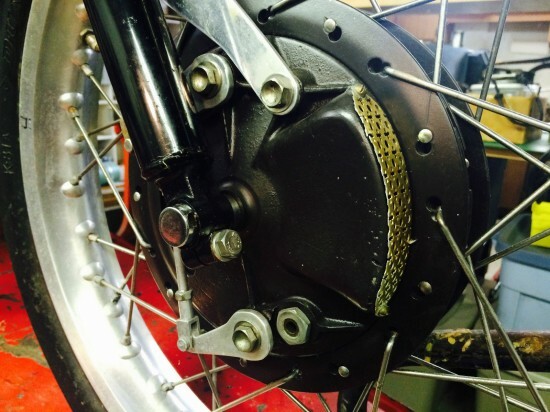 It has a Fontana 4-leading shoe drum brake as was raced in the GP. The rims are not original, most everyone went with wider WM-3 rims to take advantage of the new Dunlops. 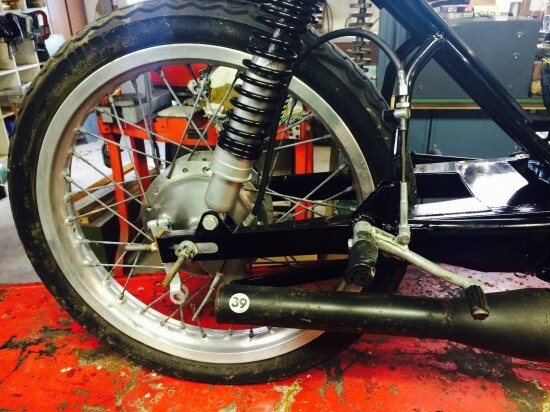 It also has a box section swingarm and Koni shocks. I can’t remember who made the swingarm. The bike needs some odds and ends. Front brake lever and perch, plug cap, rear brake cable spring, shift link rod. Frame # 400-990258. When I did the motor I used a NOS set of cases I had. 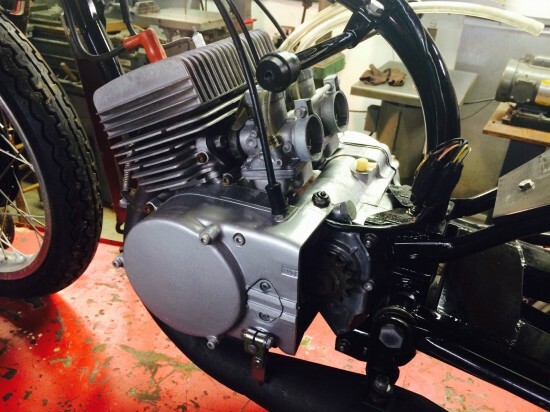 The matching number engine cases #AS3-990258, original front brake, and standard shocks will be provided. I have some fairings laying around. 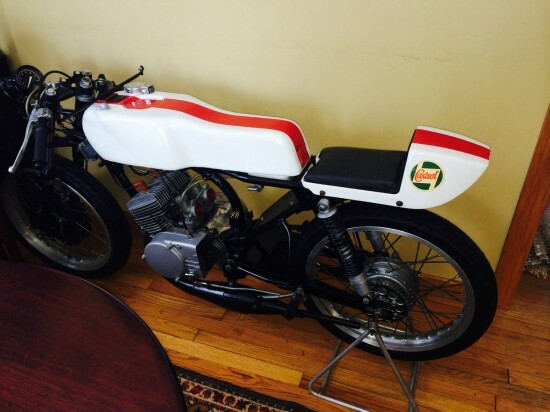 Regardless, make an offer and maybe he’ll bite: this one is ready for display, or set it up for vintage racing. 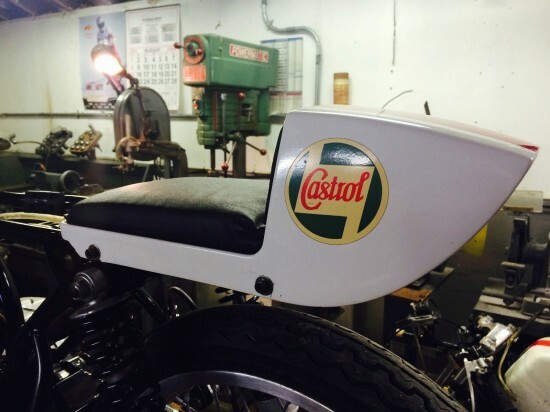 The fins on the outside cylinder head fins are interesting as is the vintage Castrol oil sticker. Additionally, famous riders Pier Bianchi on a Minarelli and Angel Nieto on a Bultaco qualifying 1st and 2nd in the Venezuelan GP is some cool history.